A new translation of Longchenpa’s "Precious Mala of the Four Dharmas" alongside the original Tibetan text, with the lucid, accessible, and relevant commentary of contemporary Dzogchen master Chögyal Namkhai Norbu. One thousand years ago, Gampopa, the illustrious heart son of Tibet's great yogin Milarepa, essentialized the entire Buddhist path in a concise set of pith instructions that became known as the Four Dharmas of Gampopa. 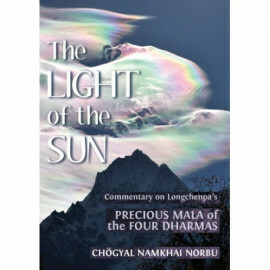 Since that time, this profound teaching has been used by many eminent masters as a vehicle for imparting the key points of Buddhist practice, including, in the fourteenth century, the incomparable Longchenpa, whose brilliant exposition of the Four Dharmas illuminates the culmination of the path from a Dzogchen perspective. 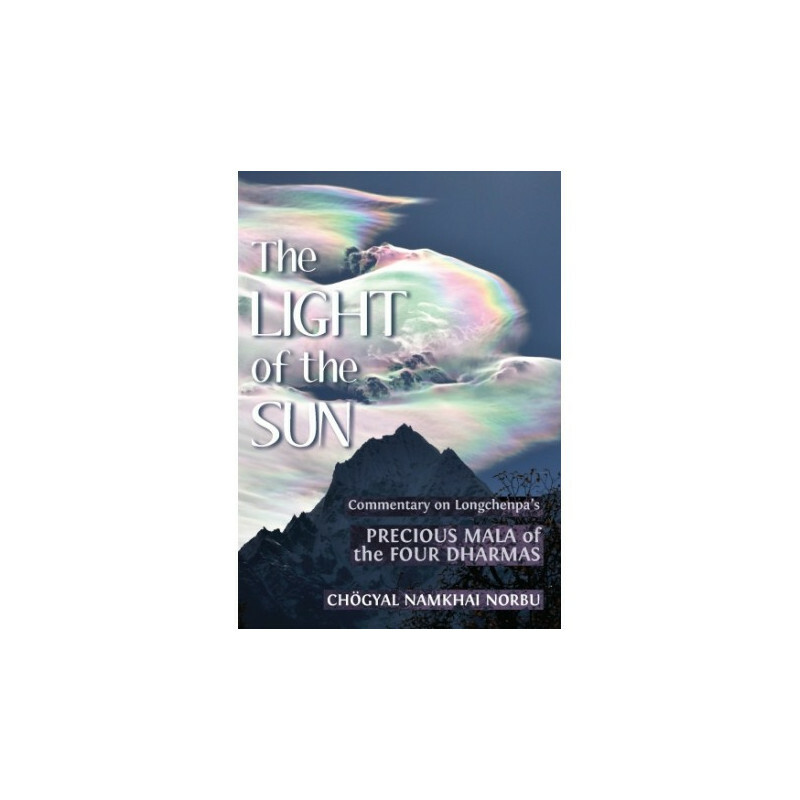 The Light of the Sun presents a new translation of Longchenpa's Precious Mala of the Four Dharmas alongside the original Tibetan text, with the lucid, accessible, and relevant commentary of contemporary Dzogchen master Chögyal Namkhai Norbu.